Being capable to meet the demands of our clients and potential clients alike for all of their LCD projector needs takes dedication and undivided focus. DLP projector technology advances every day and our clients and potential clients in the state of Florida only accept the latest and greatest in presentation equipment when it comes to their professional image. Rental Projectors Corporation is a single focused rental company that only focuses on providing the most cutting-edge LCD projectors available on the market to business professionals in FL. Our company offers a larger and more diverse selection of projectors than any of our competitors. We also offer the most highly trained and knowledgeable rental specialists in the industry to our clients in Florida. Many other rental companies that offer LCD projectors also spend their time and focus on providing several other types of audio visual equipment rentals like laptops, printers and camcorders. This means that their customer service representatives have less time to be updated on the latest projector technology and how professionals in Florida can use this technology to take their professional image to the next level. So when their customer service representatives are busy fixing virus infected laptops and tracking down missing camcorders, our superior team of projector specialists is helping our clients in FL build a professional grade PowerPoint presentation. 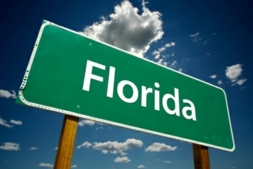 The great state of Florida is much more than just one of the most ideal and appealing vacation locations in the United States. Even though tourism is the back bone of Florida’s economy, there are also many rising and dynamic economic sectors such as agriculture, medical research, printing and publishing and transportation. To compete in a highly competitive economy like the state of Florida’s a business professional needs to not only bring out the best in themselves, but the best in their pivotal PowerPoint presentation. Our DLP projectors have the ability to take run-of-the-mill presentations in FL, and turn them into an extraordinary display of images and multimedia that appear dazzling in HD color and text that appears intense and striking, impressing audiences at our clients’ projector presentations beyond belief.